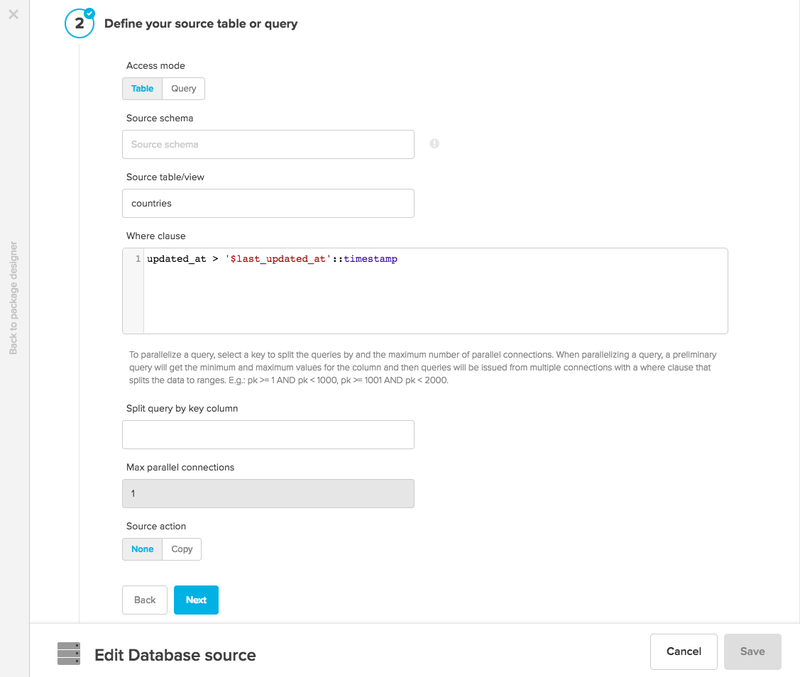 This article guides you through the process of extracting and loading data incrementally from a database table to another database table. The concepts described in this article can also be applied to MongoDB. When using Xplenty to read data incrementally from the source, we need a timestamp column that specifies when the data was updated (or inserted in tables where data is only inserted). In our example, this column is called updated_at. When reading from the source table, we’ll use a where clause to only read the rows that were updated since the last time the package executed. It is highly recommended to index this column to improve performance of the read query. Note that the schema detection or data preview fails when using the variable in the where clause, as variables are not evaluated in design time. Use the predefined variable _PACKAGE_LAST_SUCCESSFUL_JOB_SUBMISSION_TIMESTAMP which returns the submission timestamp for the last successful execution of the package. rap the variable with a CASE statement to handle empty values and to allow full load if required. 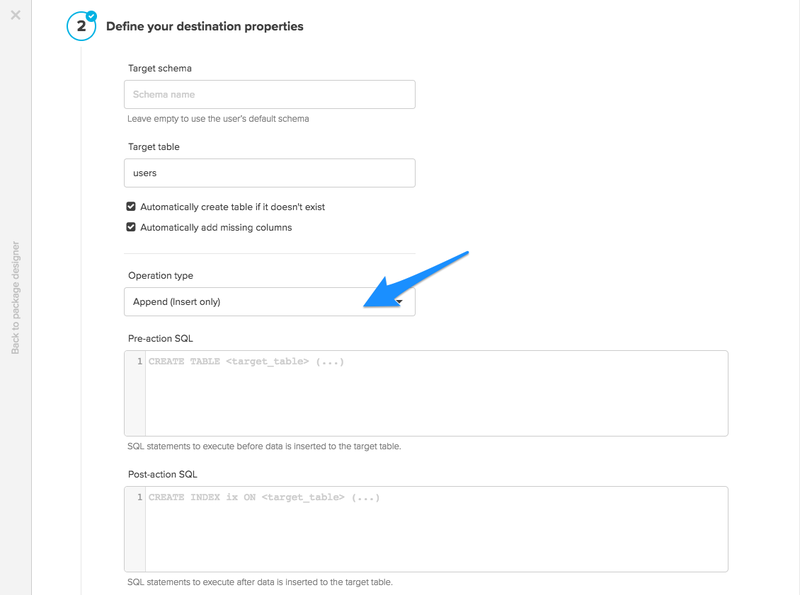 Use the ExecuteSQL* functions (such as ExecuteSqlDateTime) to execute a query on the target database to get the max (last) value of updated_at in the target. This may be more accurate than the first option, but it requires an extra query on the destination. 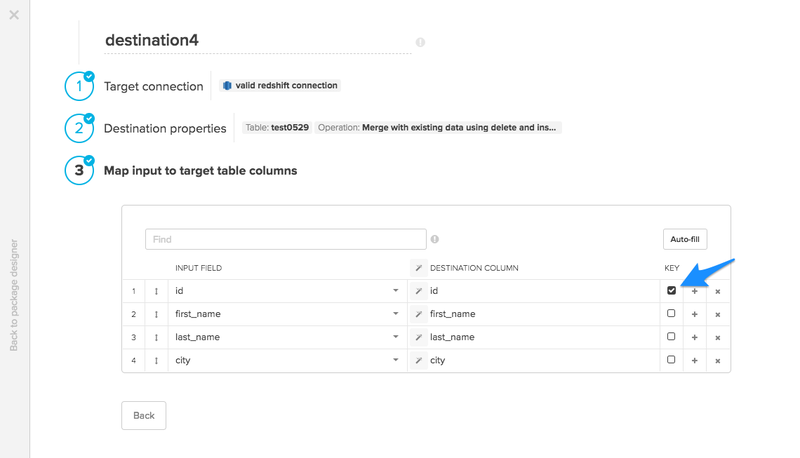 Writing increments to the destination (Redshift on any other relational database) are fairly straightforward. 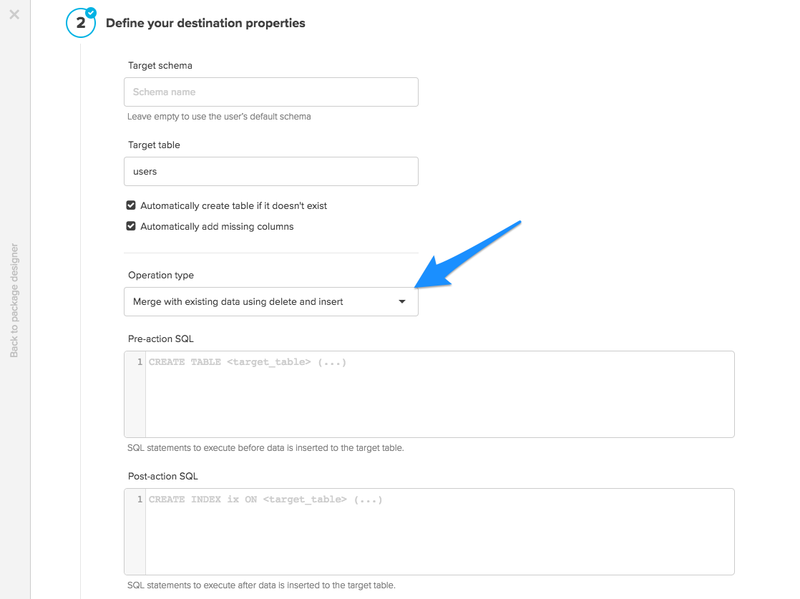 If the increments read from the source are for newly appended data only (no updates), you can simply append the data to the destination table. If the increments also contain new changes to existing rows in the source table, you should define the operation type as Merge and select a primary key to find records that changed.